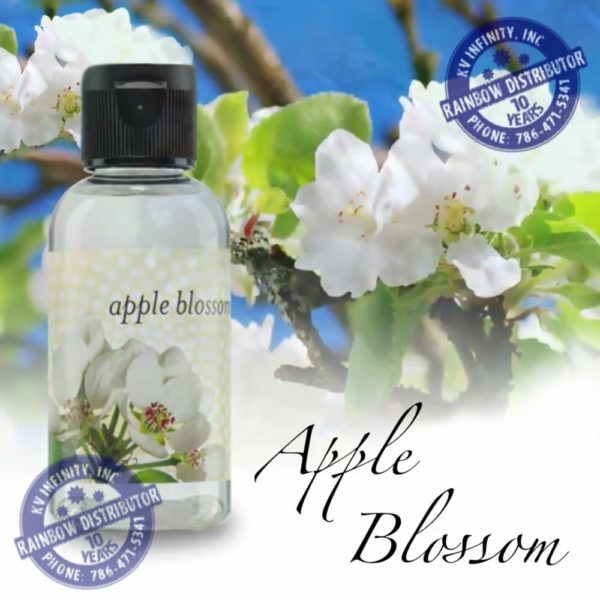 Fragrance Oil Apple Blossom, 2fl oz / 59ml. bottle, apple blossom original Rainbow vacuum Fragrance scent, soft and fall season inspiring. An application of this fragrance usually last about five to six hours. 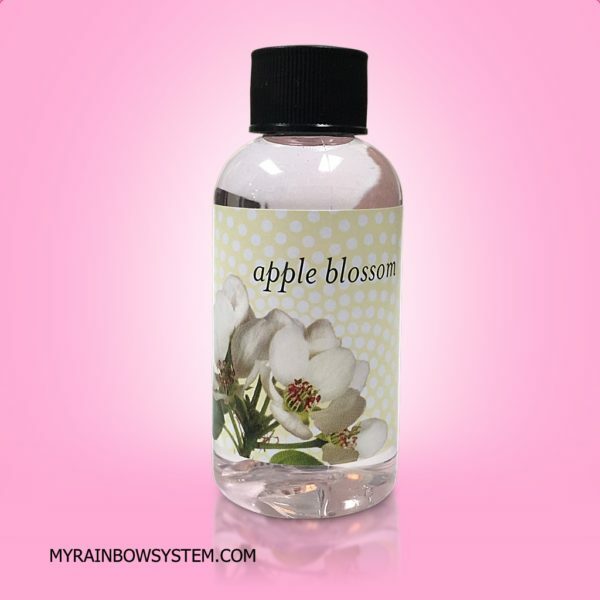 Apply one squeeze of Apple Blossom oil scent with the Rainbow or RainMate. This product is sold by unit, but you can also buy it in package of four bottles of apple blossom, a bottle of apple blossom fragrance normally last for 5 days, if you use it daily with your Rainbow or RainMate.